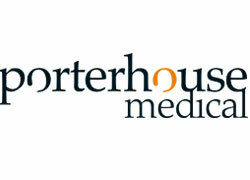 UK-based medical communications group Porterhouse Medical has opened a subsidiary based in Philadelphia, US, offering its clients medical writing, publication planning, events, strategy and market access to list a few. The new venture will be headed by Gordon Muir-Jones, who becomes president of Porterhouse Medical US, following his 30 years’ experience of global and domestic communication plans focusing on education, publication, training and advocacy components. He said: “Porterhouse is an outstanding independent agency with a passion for quality and integrity and a set of values to which we all subscribe. Taking the senior vice president position will be Kevin Ryder, who has 15 years’ experience under his belt with expertise in leading medical communication teams. Both will work closely with Porterhouse Medical’s joint managing directors, Brian Parsons and Jon Hallows, and will have access to a ‘large’ and ‘experienced’ team of scientific staff, client services teams, event managers and creatives. Parsons added: “Jon and I had an immediate rapport with Gordon and Kevin and share the same vision for the growth and direction of the Porterhouse Medical Group.